Doreen passed away peacefully on March 10, 2019. She is predeceased by her husband, James, and sisters, Muriel and Marjorie. 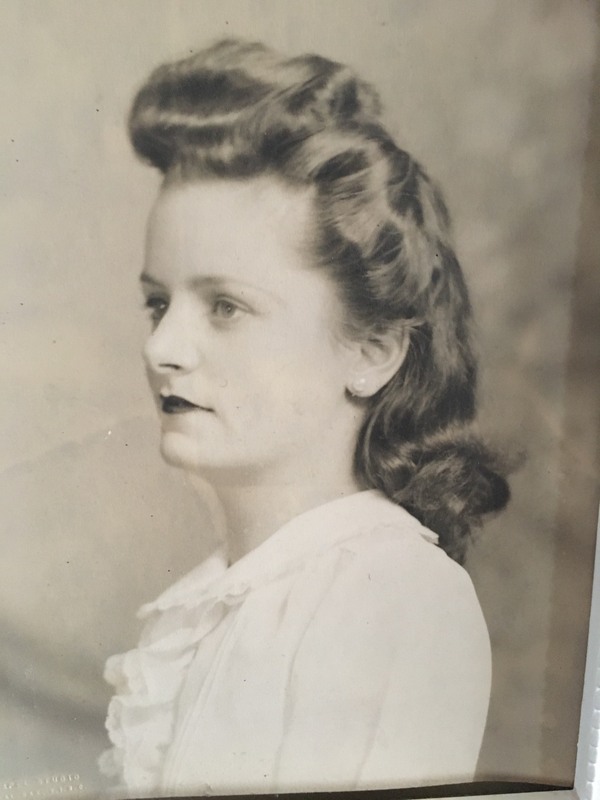 Doreen was born in Victoria in 1923, daughter of the Saanich pioneer Nott family (plumbing and heating) that plumbed all of the large buildings in Victoria such as the Empress, the Government House and the Parliament Buildings. Her grandmother Smith midwifed all of the babies born in Saanich. It was here she enjoyed growing up enjoying the outdoors. She married her childhood sweetheart, Jim, only when he had “finished their first house completely” on Oldfield Road, Victoria. There, she had her four children: Larry, Denny, Brenda, and Bonnie. In 1957, the family moved to Saratoga Beach. Doreen participated in many community activities such as the Black Creek WA., the Oyster River Fire Hall WA., and the Black Creek OAP. Thank you to the Home Care Workers, Dr. Veerapen, Georgina, her Anglican Angel visitor, and the sincere and wonderful staff at Yucalta Lodge. She wanted family to “remember her for all the good times we shared together, as we were a very close family.” A “pinnacle of our family,” your goodwill and hard work is done, Mom. Now, you may REST IN PEACE. When you see hummingbirds, lady slippers, sweet peas or carnations, think of Mom. In lieu of flowers, please donate to a cause that was close to Mom’s heart, Cameryn’s Cause. Camerynscause.com, Suite 207, 991 Alder Street, Campbell River, BC, V9W 2R1. Online condolences can be made on the Sutton’s Campbell River Funeral Home company website at https://www.dignitymemorial.com/ obituaries/campbell-river-bc/doreen-amos-8203924. A Celebration of Life will be held at a later date. It will be announced later.